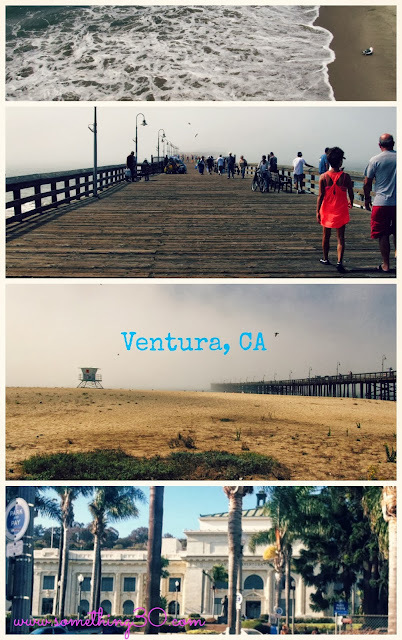 This weekend Eddie ran the Marathon in Ventura, Ca. 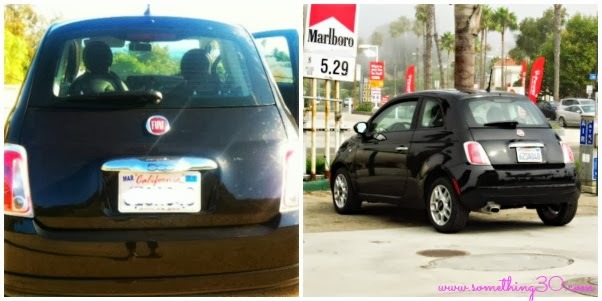 When he came home with a FIAT I doubted it could take us to SoCal but after he assured me that the rental agent had confirmed that it can take us there, I was okay with it. I guess I assumed these cars are more as commuter cars and don't have endurance for road trips. For this road trip I decided I would be the driver since I wanted Eddie to mainly focus on his run for Sunday. Friday night we ended up making it to Ventura and arrived to our hotel for the weekend. Saturday morning we went to pick up his bib number and check out the course. 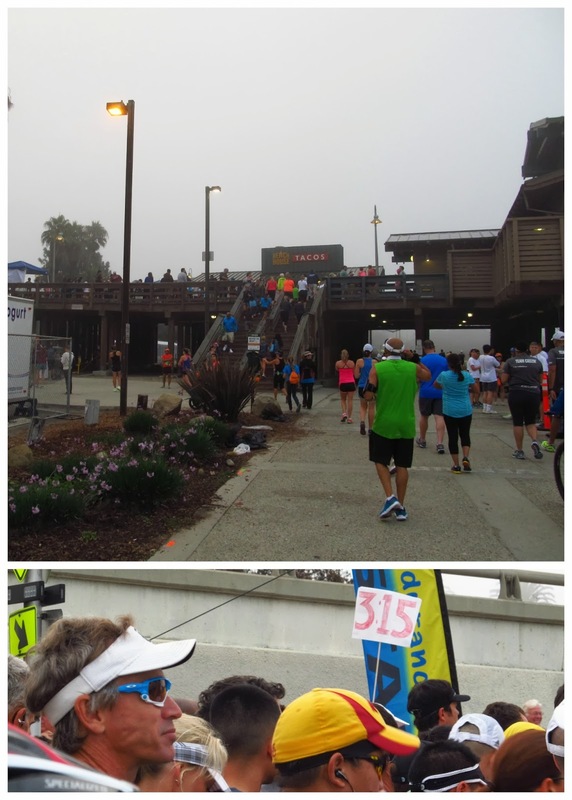 Most of this course was flat from Ventura's beach side to Oxnard's Harbor and then loop back to the beach. By Sunday morning Eddie lined up for his 7am Marathon start. It was exciting to be around many runners, it made miss training. Once the race began I saw Eddie be one of the top 20 runners up in front. After he took off I was able to see the 5K runners begin and end their runs; so many smiling while others were exhausted. Some of the Half Marathon runners I saw come in made it throwing up at the finish line, others almost falling of exhaustion or dehydration. Soon the Marathons started to come in one by one I kept staring at my clock to see if Eddie will be crossing that finish line when I see him from the corner of my eye. He ended up crossing that finish line in 2 hours and 58 minutes!! As I saw him cross i was jumping of joy for him..in the last months he has been training very hard to beat his last time with the hope to qualify for 2014 Boston Marathon. I felt so proud of him and yelled his name out to see me. When I saw him I kissed him to congratulate him. 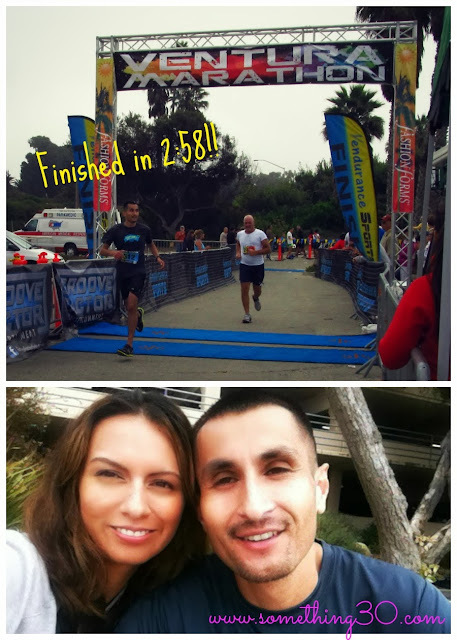 Our quick trip was filled with laughs, gave us time to be alone (no pups) and to qualify for 2014 Boston Marathon. In the next 2 weeks Eddie will be signing up with the hopes we can be visiting the city of Boston by Spring 2014 (will share once we hear confirmation).